The gift of marketing automation is no longer limited to paid accounts on MailChimp. 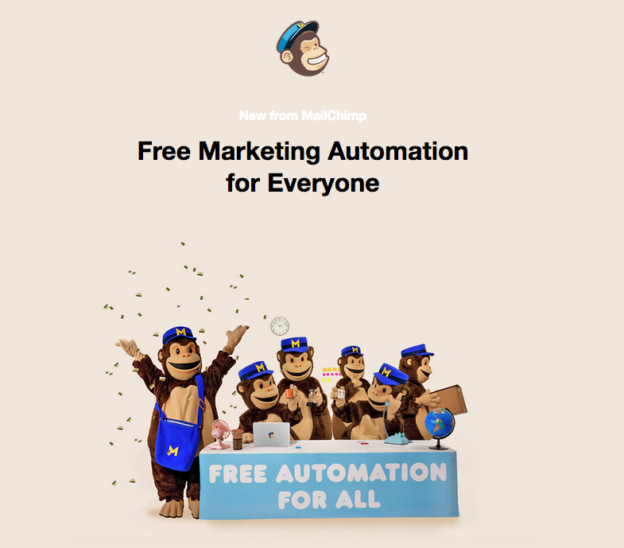 The popular email marketing platform announced today that their marketing automation feature would be free for everyone. Until recently, marketing automation was only available to paying users and today is made available to Forever Free, Monthly, Pro, or Pay As You Go customers. Marketing automation allows brands to automatically maintain consistent communication via email with their customers. “Automation helps you communicate with your customers exactly how you would, but eliminates the need to create and send every message manually,” says MailChimp. “This is pretty big news for us,” says Sandra Gabriel, founder of branding & PR firm, Gabriel PR. We often work with clients who operate on a small business budget so to be able to offer them this service without the additional cost of having the added features is really great news for us and our clients.